Houston decriminalizes -- sort of -- Colorado ponders social cannabis clubs, Georgia legislators have passed two different CBD bills, Oregonians are ready to defelonize drug possession, and more. Colorado Lawmakers Take Up Pot Social Club Bills. The Senate Business, Labor, and Technology Committee Wednesday approved a bill that would let local governments allow private marijuana clubs. Under Senate Bill 184, tokers would likely pay a fee to become members of a club and consume it there. Another, broader measure, Senate Bill 63, which would have allowed consumption licenses to be issued to shops where pot could be both sold and consumed, was defeated on a 6-1 vote. Georgia Bill to Reduce Pot Penalties Advances. The Senate Judiciary Committee gave its seal of approval to Senate Bill 105 Tuesday. The bill reduces the penalty for possession of less than a half ounce of weed from up to a year in jail to a fine of up to $300. Possession of more than a half ounce, but less than two ounces, would be worth up to a year in jail, while possession of more than two ounces would remain a felony. Houston "Decriminalization" Now in Effect. As of Wednesday, police in America's fourth-largest city will no longer arrest people with up to four ounces of pot. Instead, they will seize the weed and make the person sign a contract promising to take a drug education class. Arkansas Bill to Ban Smoking, Edibles Advances. The Senate Committee on Public Health, Welfare, and Labor has approved Senate Bill 357, which bans smoking medical marijuana and the selling of foods or drinks containing medical marijuana. The measure now heads to the Senate floor. That same committee rejected another bill, Senate Bill 238, that would have delayed implementation of the medical marijuana law under federal marijuana prohibition ends. Georgia House Approves CBD Cannabis Oil Expansion Bill. The House on Wednesday approved House Bill 65, which would expand the state's 2015 CBD cannabis oil law. The bill adds new qualifying conditions, removes a one-year residency requirement, and allows reciprocity with other CBD cannabis oil states. The House move comes two weeks after the Senate passed a more restrictive CBD expansion bill, Senate Bill 16, which would only add one new condition and would reduce the maximum allowable THC in cannabis oil from 5% to 3%. Medical marijuana advocates are not happy with the Senate bill. Oregon Poll Finds Strong Support for Reducing Drug Possession Felonies to Misdemeanors. Nearly three-quarters (73%) of Oregonians support making small-time drug possession a misdemeanor, according to a new poll. Under current law, possession is a felony. The poll comes as a bill to do just that is about to be introduced. Florida Bill Would Require Welfare Drug Tests for Drug Offenders. Senate Appropriations Committee Chair Jack Latvala (R) introduced Senate Bill 1392 Wednesday. The measure would force people who have any felony drug conviction or "a documented history of multiple arrests" for drug use within the past 10 years to undergo drug testing before receiving welfare benefits. People who test positive would be barred from benefits for two years, although they could reapply after six months if they have completed drug treatment. A companion bill was also introduce in the House. International Legal, Drug Policy Groups Call for Release of Philippine Critic of Duterte's Drug War. Both the Global Commission on Drug Policy and the International Commission of Jurists have issued statements tdemanding the immediate release of Senator Leila de Lima, who was arrested on drug charges after criticizing President Duterte's bloody crackdown on drugs. The charges against De Lima are "fabricated" and her prosecution is politically motivated, the ICJ said. "The ICJ calls on the Philippine government to immediately release Senator De Lima and immediately stop any further acts of harassment against her and other public critics of the government," the International Commission of Jurists (ICJ) said in a statement on Tuesday. The Global Commission also expressed concern about her arrest and called for her release: "We are hopeful that the presumption of innocence will be upheld and that Senator de Lima will soon be released from pre-trial detention," the GCDP said in a statement. Yet another national poll has a strong marjority for marijuana legalization, Trump administration cost-cutters eye the drug czar's office, Arizona pot legalizers refine their 2018 initiative, and more. Quinnipiac Poll Has Support for Legalization at 59%. A new Quinnipiac poll has support for marijuana legalization nationwide at 59%, with an even larger number -- 71% -- saying the federal government should respect state marijuana laws. The poll also finds support for medical marijuana at stratospheric levels, with 93% in support. Arizona Initiative Campaign Refines Its Proposal. Safer Arizona has refiled its marijuana legalization initiative after receiving criticism of some parts of it after it was originally filed last week. The new version adds a mandatory 1,000-foot buffer between schools and marijuana operations, makes it a crime -- not a civil offense -- to sell marijuana to minors, makes possession by minors a crime, but with only a $50 civil fine for a first offense, and allows local authorities to impose "reasonable zoning restrictions." The initiative needs 150,000 valid voter signatures by July to qualify for the 2018 ballot. Wyoming Marijuana Edibles Penalties Bill Gets Tightened. A bill that originally created a tiered penalty system for both marijuana and marijuana edibles earlier had its provisions relating to marijuana removed, and now a Senate committee has further tightened the bill to make possession of more than three grams of edibles a felony and has increased the period for which past offenses would be considered from five years to 10 years. The committee taking a hatchet to House Bill 197 is the Senate Judiciary Committee. The bill had passed the House largely intact. North Dakota Senate Okays Changes to Voter-Approved Medical Marijuana Initiative. The Senate voted Wednesday to approve Senate Bill 2344, which imposes tougher restrictions and more oversight than the initiative approved by voters in November. The bill sets steep fees for patients and providers and allows the Health Department to inspect patients' homes with 24-hour notice and medical marijuana facilities with no notice. On the upside, it also allows for smoking medical marijuana and lowers the age for classification as minor from 21 to 19. The bill now heads to the House. Trump Considers Eliminating ONDCP, the Drug Czar's Office. 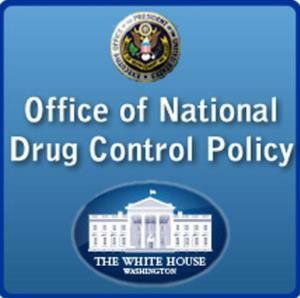 The White House Office of Management and Budget has proposed cutting nine government programs, including the Office of National Drug Control Policy (ONDCP -- the drug czar's office). Unsurprisingly, the move is generating pushback from law enforcement, the drug treatment complex, and some legislators. Stay tuned. Arkansas Welfare Drug Testing Bill Passes House. A bill that would make permanent a pilot program requiring people seeking help from the Temporary Assistance for Needy Families (TANF) program to undergo drug screening and drug testing if deemed likely to be using drugs has passed the House. Senate Bill 123 has already passed the Senate, but now goes back for a housekeeping vote before heading to the governor's desk. The bill passed even though state Health Department officials testified that only two people had actually failed the drug test under the pilot program. Edmonton Awaits Approval of Safe Injection Sites from Canadian Government. The province of Alberta and the city of Edmonton are ready to move ahead with safe injection sites and are now awaiting federal government approval. Local officials unveiled the locations of the proposed sites Wednesday. Last year, the Alberta government announced it would seek a federal exemption to set up "medically supervised injection services," and now it awaits action from the Liberal government in Ottawa. The Dutch are finally doing something to address their "back door" problem of lack of legal supply for the country's pot shops, a new Texas poll has majority support for legalization, a Vermont pot legalization bill gets a hearing later this week, and more. California Bill Would Block Police, Local Officials From Helping Any Federal Crackdown on Weed. Assemblyman Reggie Jones (D-Los Angeles) and five cosponsors filed Assembly Bill 1578 last Friday in response to the election of Donald Trump. The bill would bar the use of state funds, property, or equipment to "investigate, detain, detect, report, or arrest" anyone who is acting in accordance with the state's medical and recreational marijuana laws. Texas Poll Has Majority Support for Legalization. A new University of Texas/Texas Tribune poll has support for legalized marijuana at 53%, with another 30% saying it should be legal only for medical purposes. Meanwhile, the number of people who oppose any form of legalization has dropped to 16%. "The number of people who want to keep marijuana completely illegal decreased by seven points," said poll co-director Jim Henson. 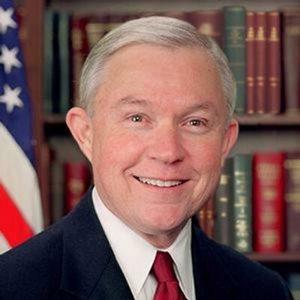 "The commensurate shift is in Republicans saying small amounts should be legal, and those who said any amount should be legal increased by six points. The other thing that may be going on here is the possible disappearance of the medium ground. It reminds me of what happened with gay marriage, where people often chose the civil union option. 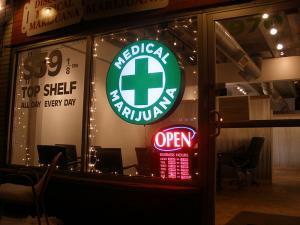 A similar thing is happening with medical marijuana as a kind of way station." Vermont Legalization Bill Gets Hearing This Week. The House Judiciary Committee will hear testimony Thursday on House Bill 170, which would legalize the possession of up to two ounces of pot and the cultivation of two mature and seven immature pot plants, but does not allow for legal marijuana commerce. A broader legalization bill was defeated last year. Arkansas Poll Finds Support for Smoking Medical Marijuana, Not Waiting for Feds. A new Talk Business and Politics/Hendrix College poll had 50% in support of allowing medical marijuana to be consumed by smoking, with only 41.5% opposed. A bill to bar the use of smoked medical marijuana is before the legislature. Similarly, 51.5% opposed waiting for the federal government to legalizes medical marijuana, while 42% were in favor. Iowa CBD Expansion Bill Filed. The state currently allows the possession of CBD cannabis oil for the treatment of epilepsy, but it's illegal to manufacture or distribute it there, rendering the current law unworkable. A bill filed Monday by Public Safety Committee Chair Rep. Clel Baudler (R-Greenfield), House Study Bill 132 seeks to begin to break that impasse by allowing the University of Iowa's Carver School of Medicine to recommend which conditions would qualify for use of CBD cannabis oil. But Baudler said another bill would be necessary to expand access. North Dakota Senate Committee Approves Medical Marijuana Funding. The Senate Appropriations Committee has approved a funding measure that allocates a little over $1 million to oversee implementation of the state's new voter-approved medical marijuana law. The Health Department told legislators it does not expect any revenue from the program this year, but it should generate $1.3 million in revenues over the next two years and be self-supporting at that point. West Virginia Medical Marijuana Bill Filed. Sen. Richard Ojeda (D-Logan) and a handful of cosponsors introduced Senate Bill 386 Tuesday. The measure would set up a commission to license medical marijuana growers and regulate distribution of the medicine through dispensaries. It's been sent to the Senate Health and Human Resources Committee. Kentucky Bill Would Require Welfare Drug Testing. Rep. C. Wesley Morgan (R-Richmond) filed House Bill 528 last Friday. 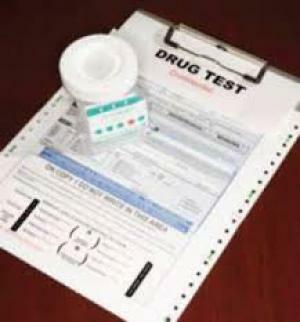 The measure require people seeking public assistance to be screened for possible drug use, with those deemed suspect required to take and pass a drug test. Dutch Parliament Lower Chamber Votes to Approve Legal Marijuana Cultivation. Three decades after the Dutch allowed for the operation of cannabis cafes, the government is finally moving to allow a legal supply for them. The lower chamber of parliament narrowly approved a bill to allow for legal commercial marijuana Tuesday, but it must still pass the Senate. Oregon Bill Would Limit Pipe, Bong Sales to Pot Shops. Minority whip Rep. Jodi Hack (R-East Salem) has filed a bill that would only allow pot paraphernalia to be sold a licensed marijuana shops. Hack said the measure, House Bill 2556, was aimed at stopping minors from buying the stuff at gas stations, minimarts, and tobacco shops. But smoke shop operators and other retailers are vowing a fight. Vermont Governor Demands Tough Driving Provisions Before He Will Support Legalization. Gov. Phil Scott (R) says he will not support a legalization bill before the legislature unless it has provisions allowing police to determine is someone is driving while impaired. "Certainly it's still problematic from the standpoint of public safety," said Scott. "I want to make sure that we address those concerns I talked about on the campaign trail in terms of impairment on our highways." He also acknowledged that current tests don't provide clear evidence of impairment, but used that uncertainty to say Vermont should wait and see how other states deal with the issue. Arkansas Medical Marijuana "Fix" Bills Advance. The House voted Monday to approve two bills aimed at tidying up the state's new medical marijuana law. The measures, both authored by Rep. Doug House (R-North Little Rock) are House Bill 1371, which requires that Arkansans hold 60% ownership interest in pot businesses in the state, and House Bill 1298, which requires that persons, not corporations, hold the licenses. The bills now head to the Senate. South Dakota CBD Bill Advances. The Senate Judiciary Committee voted Tuesday to approve Senate Bill 95, which would reschedule CBD as a Class 4 drug in the state and remove it from the definition of marijuana under state law. The bill would legalize the possession and use of CBD, but only upon approval by the FDA. That requirement was added in committee. House to Vote on Drug Testing the Unemployed. The House was prepared to vote as early as today on House Joint Resolution 42, which would undo Obama administration limits on drug testing people seeking unemployment benefits. Under a compromise to extend unemployment benefits in 2012, the Obama administration agreed to limited drug testing, but only once the Labor Department had identified industries and sectors that "regularly require drug tests." People receiving unemployment benefits are people who have been laid off from work, not people who have been fired for cause, including drug use. People who are fired for cause don't qualify for unemployment benefits. Arkansas Senate Approves Bill Making Welfare Drug Testing Permanent. The Senate Tuesday approved Senate Bill 123, which would make permanent a welfare drug testing pilot program approved two years ago, even though the pilot program had only two people fail a drug test and 11 decline to take it out of more than 3,000 people who applied for welfare last year. Under the Arkansas law, the children of people who fail a drug test lose their benefits unless their parent undergoes drug treatment at his or her own expense. The bill now goes to the House. Sao Paulo's New Mayor Turns Back on Successful Harm Reduction Program. New Mayor Joao Doria will scale back a successful harm reduction program that provided housing and jobs to people with problematic crack cocaine use and replace it with a coercive and abstinence-based program. The Restart program Doria likes involves the involuntary "hospitalization and confinement of those who are victims of crack so that with medical treatment, they can stay away from drugs," he explained. Venezuela VP Shrugs Off US Drug Sanctions. The Venezuelan government Tuesday condemned US sanctions imposed a day earlier on Vice President Tareck El Aissami as a "highly dangerous" infringement of Venezuelan sovereignty, while El Aissami himself called it a "miserable and defamatory aggression" that wouldn't distract him from his job. The US accuses El Aissami of facilitating cocaine shipments while he was a provincial governor. Marijuana-related legislation is moving in several states, the HIA is suing the DEA over hemp foods, Philippines Catholic bishops speak out against drug war killings, and more. Alaska On-Site Consumption Not Dead Yet. Last Wednesday, the Marijuana Control Board shot down a proposal that would have allowed for Amsterdam-style cannabis cafes, but a day later, the state's Department of Economic Development clarified in a press release that the decision didn't amount to a permanent ban on such businesses. The department encouraged marijuana businesses that want to allow on-site consumption to continue filing relevant paperwork, even though there is not yet an alternative proposal to regulate businesses allowing on-site consumption. After Legalization, California Faces a Plethora of Pot Bills. The passage of Prop 64 appears to have left as many questions as answers, and legislators in Sacramento are working to address them with at least nine bills filed already. The proposals range from efforts to reconcile the medical marijuana and legal marijuana regulatory systems to protecting non-union workers to helping pot businesses gain access to financial services and beyond. Click on the link to see the full list of bills and accompanying discussion. New Mexico Legalization Bill Wins House Vote. The House Consumer and Public Affairs Committee voted to allow a legalization measure, House Bill 89, to keep advancing through the House. The committee made no recommendation for or against. The bill still faces to more committee votes before it can head for a House floor vote. "This is the one thing we can do this year that will instantly inject a massive amount of money into our economy and create jobs right away," said bill sponsor Rep. Bill McCamley (D-Mesilla Park). New York Legalization Bills Filed. A pair of identical bills to legalize marijuana for adults and allow for legal, taxed, and regulated marijuana commerce have been filed in Albany. They are Senate Bill 3040, with Sen. Liz Krueger (D-Manhattan) as primary sponsor, and Assembly Bill 3506, with Assemblymember Crystal Peoples-Stokes (D-Buffalo) as primary sponsor. Wyoming House Votes to Cut Pot Penalties. The House voted Saturday to approve House Bill 197, which would reduce the penalty for possession of three ounces of marijuana or less. The bill now moves to the Senate. Washington Bill to Allow Medical Marijuana Use at School Wins Committee Vote. The House Health Care and Wellness Committee approved "Ducky's Bill," House Bill 1060, last Friday on a 13-3 vote. The bill is named after an elementary school student who can only attend half-days of class because of intractable epileptic seizures. It would require school districts to allow students to use medical marijuana on school grounds, on a school bus, or while attending a school-sponsored event. A companion measure has been filed in the Senate, but has not moved yet. Hemp Industries Association Sues DEA Over Illegal Attempt to Regulate Hemp Foods as Schedule I Drugs. The Hemp Industries Association (HIA) has filed a motion to hold the Drug Enforcement Administration (DEA) in contempt of court for violating an unchallenged, long-standing order issued by the U.S. Court of Appeals in San Francisco, prohibiting the agency from regulating hemp food products as Schedule I controlled substances. Specifically, the HIA asserts that the DEA continues to operate with blatant disregard for the 2004 ruling made by the Ninth Circuit Court of Appeals, which permanently enjoined the DEA from regulating hemp fiber, stalk, sterilized seed and oil, which are specifically exempted from the definition of "marijuana" in the federal Controlled Substances Act. Colorado Bill Would Close Federal Asset Forfeiture Loophole in Most Situations. A bipartisan group of four senators has filed Senate Bill 136, which would require state law enforcement to comply with extensive reporting requirements, but would also prohibit them from entering into agreements to transfer seized property to the federal government unless it amounts to more than $100,000. Law enforcement agencies use federal sharing programs to get around state laws aimed at reining in asset forfeiture procedures. The bill is now before the Senate Judiciary Committee. Colorado Companies Shedding Marijuana Drug Tests. The Associated Press is reporting that in the past two years, seven percent of Colorado companies have dropped marijuana from pre-employment drug tests. Would you test someone for alcohol or something like that I mean it's legal like alcohol is. Why would you test someone for marijuana especially if it's legal?" said one small business owner. Rhode Island Random Welfare Drug Testing Bill Filed. State Sen. Elaine Morgan last Thursday filed a bill that would allow the Department of Human Services to conduct random, suspicionless drug tests on welfare recipients. The bill heads to the Senate Judiciary Committee. It has yet to appear on the legislative website. Israeli Ministers Endorse Bill to Allow Medical Marijuana Exports. The Ministerial Committee on Legislation has endorsed a draft bill to allow the export of medical marijuana. That means the measure will now move forward as a government bill. Tel Aviv Marijuana Legalization Demonstration Draws Thousands. As the Knesset and the Israeli cabinet ponder marijuana decriminalization, thousands of Israelis gathered in Tel Aviv Saturday night to call for full legalization. At least two Knesset members, Likud's Sharren Haskel and Meretz's Tamar Zandberg, were present. Philippines Catholic Bishops Issue Pastoral Statement Condemning Drug War Killings. The Catholic Bishops Conference of the Philippines issued a pastoral statement Sunday expressing opposition to President Rodrigo Duterte's campaign of killings of drug users and sellers. The bishops called on Filipinos to follow the basic teaching of the Church. The full text of the statement is available at the link. The leader of the nation's largest drug reform group steps down, Maine becomes the eighth legal pot state, Seattle approves safe injection sites -- and isn't asking federal approval -- and more. Maine Becomes Eighth State to Eliminate Marijuana Possession Penalties. The personal possession and cultivation provisions of the Question 1 legalization initiative went into effect Monday. Adults may now possess up to 2.5 ounces of marijuana and cultivate up to six plants and keep the harvest without any criminal penalty. Marijuana sales won't come until next year. Maine Governor Signs Bill Delaying Implementation of Legal Marijuana Commerce. Gov. Paul LePage (R) last Friday signed into law LD 88, which delays the onset of retail pot sales for a year. LePage had threatened to veto the bill unless it included $1.6 million to fund the costs of creating rules and regulations and unless it transferred oversight of the industry from the agriculture department to the Bureau of Alcoholic Beverages and Lottery Operations. The bill did neither of those things, but he signed it anyway. Maryland Legalization Bill Coming. Lawmakers were set to announce today plans for a pair of bills related to marijuana legalization. One would make it legal for adults and regulate it like alcohol; the other would enact taxes on legal, non-medical marijuana. The state decriminalized pot possession in 2014. South Dakota Bill Would End "Internal Possession" Charge for Pot. State Rep. David Lust (R-Rapid City) and Sen. Justin Cronin (R-Gettysburg) last week introduced Senate Bill 129, which would no longer make it legal for someone to have marijuana in their system. Under current state law, people who test positive for marijuana can be charged with "unlawful ingestion" or "internal possession," a misdemeanor. Arkansas Lawmaker Files Bill to Ignore State Voters' Will Until Federal Law Changes. State Sen. Jason Rapert (R-District 18) last week filed a bill that would delay the voter-approved medical marijuana law until marijuana is legal under federal law. The measure is Senate Bill 238, which has been referred to the Senate Committee on Public Health, Welfare, and Labor. Utah Lawmakers Scale Back Medical Marijuana Plans. Legislators said last Friday they were retreating from plans to expand the state's CBD-only medical marijuana law and will instead call for more research. They also said they wanted to see what the Trump administration was going to do before they moved forward with a broader medical marijuana bill. 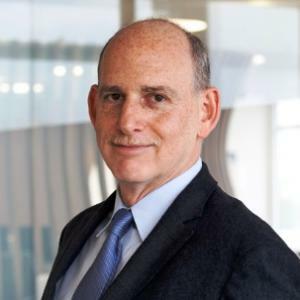 Ethan Nadelmann Steps Down as Head of the Drug Policy Alliance. "The time has come for me to step aside as executive director of the Drug Policy Alliance," Nadelmann wrote in a letter last Friday to DPA staff announcing his resignation. "This is just about the toughest decision I've ever made but it feels like the right time for me personally and also for DPA. It's almost twenty-three years since I started The Lindesmith Center and approaching seventeen years since we merged with the Drug Policy Foundation to create DPA. We've grown from little more than an idea into a remarkable advocacy organization that has built, led and defined a new political and cultural movement." Click on the link to read the whole letter. Maine Governor Wants to Ban Welfare Benefits for Drug Felons. As part of his budget proposal, Gov. Paul LePage is calling for a ban on food stamps and cash assistance for anyone convicted of a drug felony in the past two decades. He also wants to try again to pass a welfare drug test law. Similar efforts by LePage and the Republicans have failed in the past. Montana Woman Faces Felony Charge for Trying to Beat Drug Test. A Helena woman on probation who tried to pass off someone else's urine as her own to beat a drug test is now facing a felony charge of tampering with or fabricating evidence. Jessica McNees said she wouldn't have done it if she knew she faced a felony charge. Indiana Legislator Files Bill to Criminalize Fake Urine. State Rep. Greg Beumer (R-Modoc) has filed a bill that would make it a misdemeanor crime to distribute, market, sell or transport synthetic urine with the intent to defraud an alcohol, drug or urine screening test. The measure is House Bill 1104. Seattle Approves Nation's First Supervised Injection Facilities. The city of Seattle and surrounding King County have approved setting up "Community Health Engagement Locations," better known as supervised injecting sites, for injection drug users in a bid to reduce the associated harms. The city and county are not seeking prior federal approval and acknowledge that the federal government could intervene, but say they are confident it won't. Two such sites will be set up. Colombian Government and FARC Announce Coca Substitution, Eradication Plans. The government and the leftist rebels of the FARC announced plans eradicate and provide substitute crops for some 125,000 acres of coca plants. President Juan Manuel Santos and the FARC leadership agreed on the plan as part of a peace agreement to end a civil war running since 1964. "The goal is to replace approximately 50,000 hectares of illicit crops during the first year of implementation in more than 40 municipalities in the most affected departments," the government and the rebels said in a joint statement. Colombia Coca Producers March Against Crop Eradication, Substitution Program. Coca producers have taken to the streets to protest against the new program, undertaken jointly by the Colombian government and the FARC. "The areas with coca cultivations are isolated areas, with simple people, good workers," said Edgar Mora, leader of a coca growers' union. "Rural people haven't found an alternative to cultivating coca because if they cultivate other products they'll lose money and they don't find profitability in the legal products the government talks about." Colorado high court rules cops don't have to give your legal weed back if they seize if, changes in the Arkansas medical marijuana law go to the governor, there's more asset forfeiture activity in the states, Colombia's drug crop growers organize, and more. Colorado Supreme Court Says Cops Don't Have to Give Seized Marijuana Back. The state Supreme Court ruled Monday that police cannot be forced to return marijuana to a defendant acquitted of pot crimes, because that would cause them to violate the federal Controlled Substances Act. "The return provision requires law enforcement officers to return, or distribute, marijuana," the decision says. "Thus compliance with the return provision necessarily requires law enforcement officer to violate federal law." Three justices disagreed, however, saying that the CSA "immunizes federal and state officers from civil and criminal liability in the circumstances at issue here." But they lost. Virginia Bill to End Drivers' License Suspension for Possession Advances. A bill that would undo an existing state law requiring the suspension of drivers' licenses for people convicted of pot possession was approved by the Senate Courts of Justice Committee Monday. The measure, Senate Bill 1091 still need approval from the full chamber. Texas Judge Recommends No Punishment for Teacher Who Smoked Pot in Colorado. A teacher who admitted legally consuming marijuana while in Texas should not face any legal or professional penalty, an administrative judge has ruled. The Texas Education Agency sought to suspend the teacher's license for two years after she handed in a urine sample that tested positive for marijuana. The judge found that the teacher was not "unworthy to instruct" and that there was no evidence to suggest she was under the influence of marijuana while teaching. The TEA will have to make a final decision. Arkansas Legislature Approves Changes to Medical Marijuana Law. With the state Senate's approval Monday, House Bill 1058 now goes to the governor. It passed the House last week. The bill removes a requirement that doctors declare the benefits of medical marijuana outweigh the risk to the patient. It also specifies that patient information submitted to qualify for medical marijuana is "confidential," but would not be considered "medical records" subject to the Health Information Privacy Protection Act. Illinois State Treasurer Asks Trump for Clarity on Banking for Medical Marijuana Industry. State Treasurer Michael Frerichs said Monday he sent a letter to President Trump urging him to give clear guidance to the banking industry on marijuana. Frerichs said currently federal law makes it difficult for legal businesses to get loans and restricts customers to cash-only transactions. North Dakota House Approves Bill Preventing Worker's Comp from Paying for Medical Marijuana. The House overwhelmingly approved House Bill 1156 Monday. Passed in response to voters' approval of a medical marijuana initiative in November, the bill prevents the state Workforce Safety and Insurance agency from paying for medical marijuana to treat a workplace injury. 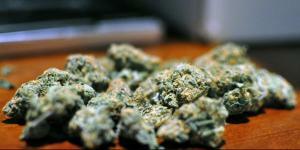 Legislators said marijuana remains illegal under federal law. Florida Kratom Ban Effort Gets Senate Companion Bill. Rep. Kristin Jacobs' (D) lonely crusade to ban kratom is not quite as lonely today. Democratic state Sen. Darryl Rouson has filed Senate Bill 424, which, like Jacobs' House bill, would add the active ingredients in kratom to the state's list of controlled substances. Alaska Civil Asset Forfeiture Reform Bill Filed. State Rep. Tammie Wilson (R-North Pole) has filed House Bill 42, which would end civil asset forfeiture by requiring law enforcement obtain a criminal conviction before property is seized. "This has to do with the belongings that are taken," Wilson said. "They still can seized. But now there will be a process for those who were not involved to be able to get their items back without a lengthy proceeding and have to get an attorney to be able to do that." 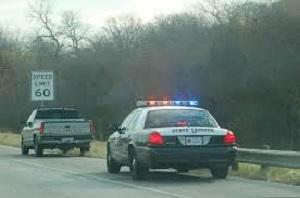 Oklahoma Asset Forfeiture Bill Coming Back. State Sen. Kyle Loveless (R-Oklahoma City) will once again file asset forfeit legislation this year. The bill would require convictions before asset forfeiture unless the property is valued at more than $50,000, if the person denies any connection to the property, or is deported or otherwise unavailable. Similar efforts in past years have been blocked by strong law enforcement lobbying efforts. Wisconsin Asset Forfeiture Bill Filed. A bipartisan group of lawmakers is preparing an asset forfeiture reform bill that would require a criminal conviction before any seizure takes place, that any seizure be proportional to the offense, and that proceeds from forfeitures be directed to state general funds, and not law enforcement. The bill is not yet available on the legislative website. North Dakota Welfare Drug Testing Bill Filed. State Sen. Tom Campbell (R-Grafton) has filed Senate Bill 2279, which would require the state Department of Human Services to develop a procedure for testing welfare applicants suspected of illegal drug use. The bill would deny benefits for a year to applicants who refuse a drug assessment, refuse a drug test, or don't participate in a treatment program. Similar legislation has been introduced the last three sessions. The Department of Human Services does not support it. Colombia Coca, Opium, and Marijuana Farmers to Form Association. The growers are planning to found the National Coordinator of Coca, Marijuana, and Opium Growers to try "to forge a common negotiating front with the government to influence any potential agreements on drug control that come as a result of peace talks with the Revolutionary Armed Forces of Colombia (FARC). The organization would have national reach and appears to be an effort to create a political coalition with the aim of directly negotiating with the government. Notably, such a coalition could form a future political support base for an eventual FARC political party. By linking the future of a FARC party to the issue of forceful eradication, which the group would almost assuredly oppose, the pace of eradication in Colombia could end up slowing even further," Stratfor reported. Both Congress and state legislatures are getting back to work, and the bills are starting to pile up; South Dakota activists eye a 2018 legalization initiative, and more. Some California Dispensaries Are Already Selling Marijuana to All Adult Comers. Legal recreational marijuana sales won't begin in the state until at least 2018, but some medical marijuana dispensaries are already selling pot to anyone over 21. "Dozens" of dispensaries are advertising that they no longer require a doctor's recommendation to make purchases. Many, if not all, of these "Prop 64 friendly" dispensaries are unlicensed. South Dakota Activists Eye 2018 Legalization Initiative. The state has twice rejected medical marijuana at the polls, but that isn't stopping a new group, New Approach South Dakota, from planning a 2018 legalization initiative. The group says it will submit a proposal to the attorney general's office next week. DC Mayor Announces Plan to End Driver's License Suspensions for Drug Offenses. Mayor Muriel Bowser (D) said Monday that her administration plans to change a law that suspends the driver's license of people arrested for drug offenses. "In Washington, DC, we value and support rehabilitation and promote employment as a critical component of successful reentry," Mayor Bowser said in a statement. "This change will ensure that the DC criminal code is tailored to public safety, not maintaining antiquated and ineffective policies that place unnecessary burdens on District residents." Federal Bill to Protect Medical Marijuana Businesses From Asset Forfeiture Filed. Rep. Earl Blumenauer (D-OR) last Thursday filed House Resolution 331, which would shield medical marijuana-related conduct authorized by state law from federal asset forfeiture attempts. The bill has been referred to the House Judiciary and Energy and Commerce committees. Mississippi Medical Marijuana Bill Filed. Rep. Joel Bomgar (R-Madison) has filed House Bill 179, which would ensure that any "qualifying patient who possesses a valid registry identification card is not subject to arrest, prosecution, or penalty in any manner." The bill specifies a list of qualifying conditions, allow for caregivers for patients who can't grow their own, and allow for dispensaries. Patients could possess up to 2. 5 ounces of marijuana. Indiana Medical Marijuana Bill Filed. State Sen. Karen Tallian (D-Indianapolis) has filed Senate Bill 255, which would allow patients with a specified list of conditions or "any persistent or chronic illness or condition" to use medical marijuana with a physician's recommendation. The measure would also create a statewide medical marijuana program. Tallian has introduced similar bills in past years that have gone nowhere. Nebraska Medical Marijuana Bill Coming Soon. State Sen. Anna Wishart (D-Lincoln) says she will introduce a comprehensive medical marijuana bill this session. A similar measure came within three votes of advancing last year, but the measure would still face an uphill battle in the legislature and a probable veto from Gov. Pete Ricketts (R). New Mexico Medical Marijuana Fix Bill Filed. State Sen. Cisco McSorly (D-Albuquerque) has filed Senate Bill 8, which would more than double the amount of medical marijuana licensed producers can grow in the state and expand the amount of marijuana that patients could possess. "This bill will guarantee there is an adequate supply of marijuana for our patients," McSorley said. Florida Bill to Make Kratom a Controlled Substance Filed. State Rep. Kristin Jacobs (D-Coconut Grove) last Friday filed House Bill 183, which would add mitragynine and hydroxymitragynine, the psychoactive components of kratom, to the state's controlled substances act. Under the bill, selling, manufacturing, or importing kratom would be a misdemeanor. Nebraska Bill Would (Mostly) End Lifetime Ban on Food Stamps for Drug Felons. State Sen. Mike Groene (R-North Platte) last Friday filed Legislative Bill 128, which would end the lifetime ban on food stamps for drug felons, but only if they got drug abuse treatment after their most recent conviction. Alternately, drug felons could take and pass voluntary drug tests every six months to qualify. People with more than two drug felonies would continue to be banned from receiving food stamps. A measure to completely end the ban failed last year. Federal Bill Filed to Ease Access to Overdose Reversal Drug. Rep. Jan Schakowsky (D-IL) and a bipartisan group of 18 cosponsors have filed House Resolution 304, which would ease bureaucratic obstacles to emergency medical care providers wishing to administer the opioid overdose reversal drug naloxone. The bill has been referred to the House Judiciary and Energy and Commerce committees. Top DEA officials have left the agency for positions with opioid-producing pharmaceutical companies, Pennsylvania's roll-out of medical marijuana starts rolling, Oregon's largest city will allow pot delivery services, and more. Dozens of DEA officials have put down the badge to pick up big bucks from Big Pharma. New Hampshire Legislators Will Try Again to Legalize It Next Year. After years of frustration, state Senate Minority Leader Jeff Woodburn (D-Dalton) says next year is the best chance yet for legalization. Woodburn says he is drafting a two-part bill, with the first part essentially legalizing possession, cultivation, and sales by removing all criminal penalties and the second part setting up a study committee to put together a regulatory system for an adult use market by 2019 or 2020. A new governor, John Sununu, Jr., may ease the way. Unlike his Democratic predecessor, Maggie Hassan, Sununu has shown an openness to considering reforms. Portland, Oregon, Okays Delivery Services. The city council voted Wednesday to approve "marijuana couriers" and other marijuana-related "micro-businesses" as a means of removing financial barriers for would-be entrepreneurs. Portland is the only city in the state to have approved pot delivery services. Arizona Prosecutor Will Appeal Ruling Telling Him Not to Obstruct Medical Marijuana Businesses. Maricopa County (Phoenix) Attorney Bill Montgomery said Wednesday he will ask the state Supreme Court to review a ruling a day earlier from the Court of Appeals that rejected his argument that federal law preempts the state's medical marijuana and approve zoning for a medical marijuana dispensary in Sun City. He said the ruling against him undermines federalism and the "fundamental principle of the rule of law." Pennsylvania Will Issue 27 Dispensary Permits in First Phase of Program Roll-Out. The state will authorize up to 27 dispensary permits during a process that begins with applications opening in mid-January and able to be submitted between February 20 and March 20. Each dispensary is allowed two secondary locations, meaning up to 81 medical marijuana shops could open in this first phase. The state medical marijuana law allows for up to 50 dispensary permits to be issued. State officials said they expected dispensaries to be open for business by mid-2018. Dozens of Top DEA Officials Leave to Go to Work for Opioid Pharmaceutical Companies. It's the revolving door at work: Dozens of DEA officials have been hired by pharmaceutical companies that manufacture or distribute opioid pain medications, most of them directly from the DEA's diversion division, which is responsible for regulating the industry. The hires come in the midst of a DEA crackdown to curb rising opioid use. "The number of employees recruited from that division points to a deliberate strategy by the pharmaceutical industry to hire people who are the biggest headaches for them," said John Carnevale, former director of planning for the White House's Office of National Drug Control Policy, who now runs a consulting firm. "These people understand how DEA operates, the culture around diversion and DEA;s goals, and they can advise their clients how to stay within the guidelines." Wisconsin Governor Doesn't Want to Drug Test Students, Just Poor People. Gov. Scott Walker (R) said that while he wants to fight opioid use, he doesn't think drug testing high school students is a high priority. "There are plenty of ideas that have come up, but this isn't one of them," he said in reference to a bill filed by Rep. Joel Kleefisch (R-Oconomowoc). He is down with forcing people on food stamps to undergo drug tests, though. Indonesia Anti-Drug Chief Says Drug Dealers and Users Should Be Shot. Taking a page from Philippines President Rodrigo Duterte, Budi Waseso, head of the National Narcotics Agency, has called for the killing of drug dealers and users. "Don't hesitate to shoot drug traffickers, drug dealers and drug users. Anyone involved in drug trafficking should be punished harshly, including traitors in the BNN [National Narcotics Agency] body. "Drug dealers have been all out in their efforts to market drugs. We have to be all out as well to fight them," said Budi, adding that the agency is already cooperating with the military to tackle drug-related crimes. "For the military, I think the word war can already be interpreted. Let's together clear these drugs for the sake of future generations," added Budi.